As Harley Quinn fights her conflicting feelings regarding a new Joker entering her life, her army of protesters wage a more physical battle against Superman's Regime forces. Meanwhile, The Regime has captured Batman... but not the one they expected! 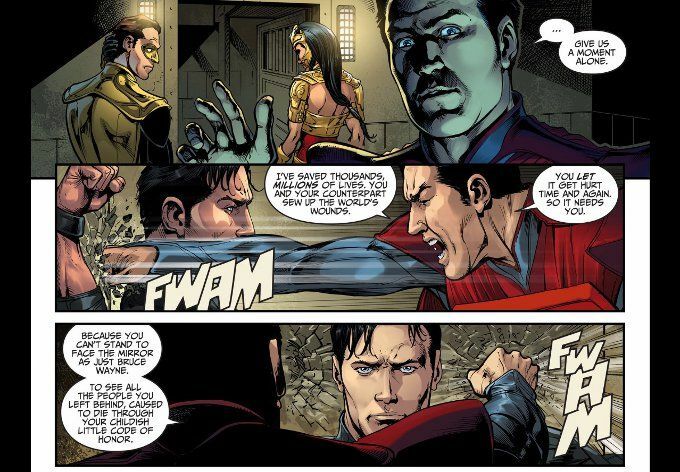 While a solidly written piece of work, Injustice: Ground Zero #6 lacks the luster of previous issues. Half of this is due to the book's intrusion into the story of the original game, when the appeal of the original Injustice comic was that it told us all the stories we didn't see in the five-year gap between the game's prologue and first act. 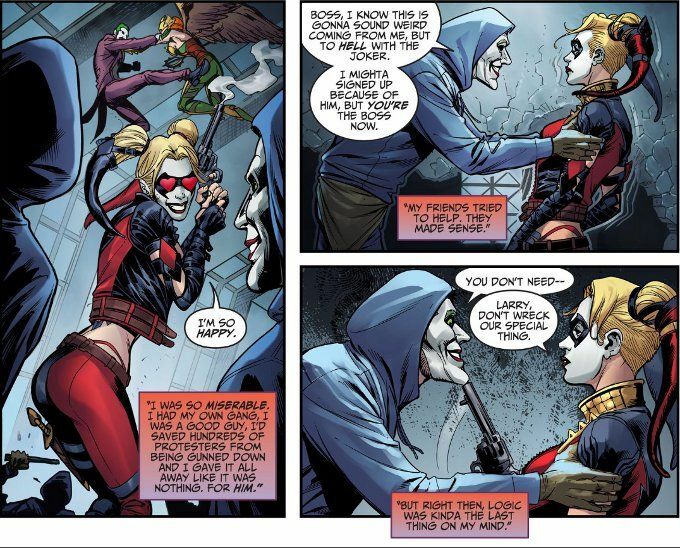 The other half is the lack of Harley's narration in the later part of the book, as the action shifts to focus on The Regime torturing Earth Prime Batman. While the story may seem somewhat repetitive to those who have played the original game, the visuals of the artwork more than make up for it. Marco Santucci has a great gift for depicting facial expressions and the close-ups in this book look fantastic. The rich colors by J. Nanjan are also worthy of special praise.